As South Africa's R45bn stokvel industry continues to grow, more and more financial solutions are being designed for the nation's stokvel groups, now estimated to be over 800 000. The 2017 Old Mutual Savings & Investment Monitor found that more than a quarter of black metropolitan working households prefer to save using a stokvel or savings club. There's also been an 11% increase in stokvel membership among high-income earners (those earning R40 000 or more), from 46% in 2009 to 57% in 2017. This challenges the perception that stokvels are still predominantly a lower-income phenomenon. 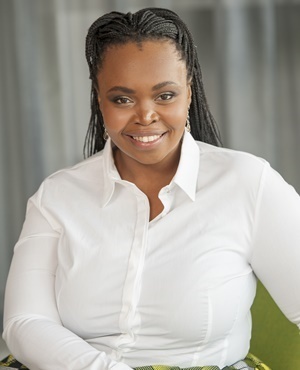 Stokvels are on the move from villages to cities, from mattresses into savings accounts and investment instruments, says Ntombi Tisani, head of marketing at Old Mutual Personal Finance. As they move, they evolve, and their potential for growth and wealth creation increases. "Stokvels have progressed in both the way their role is perceived and in the way they operate," says Tisani. "While they continue to play a key role in our communities, the arrangement of stokvels is increasingly reflective of changing social dynamics." In Tisani's view, these include expanded definitions of stokvels as hubs for socialising; helping to reduce costs; realising shared goals – like savings for holiday travel; building commitment and spreading financial education. "The fact that stokvels are evolving into a modern savings solution is positive news, but it’s imperative that members do their homework and ensure their stokvel solution is efficiently structured and geared for growth," says Tisani. "The increasing buying power and growing stokvel footprint empowers members to demand more from service providers, including financial education, advice and platforms that will grow the stokvel and enrich the overall experience. These add-ons should contribute to members’ ultimate goals for the stokvel." When it comes to money – your own or your stokvel's – it's important to get the right advice to ensure you're on track to achieve your goals. The financial knowledge and experience of your co-members may vary a lot, which could make it difficult to agree on the right savings strategy and select appropriate solutions. A qualified financial adviser can help you put a targeted plan in place that meets the needs of all the members of the stokvel. According to the 2017 Old Mutual Savings & Investment Monitor, 44% of stokvel contributors are saving for a rainy day, while 43% are saving to pay off debt. Understanding the underlying motivation for saving is an important factor in deciding which tools to employ to reach your target. Remember that the cost of debt increases over time. So, for example, if you save R1 500 every month to pay off a debt of R18 000 at the end of the year, you need a savings mechanism that yields enough in interest to match the accumulated interest of the debt at repayment. Similarly, if you are saving for a rainy day, you need to be aware of inflation rates, increasing costs of living and any VAT reforms to ensure that you are saving enough. Stokvels are popular because members are obligated to contribute, but prioritising returns is as important as encouraging savings. Members need to get more out of their investments, otherwise they may as well be saving their money under a mattress with no opportunity for growth. Every stokvel member has the opportunity to play an active role in their club. Seek out a specific investment solution that offers value-added benefits that empower members through, for example, financial education. Apart from being simple, transparent, cost efficient and flexible, financial solutions also need to add value to members. The South African government encourages saving by offering tax benefits on certain investments. This great opportunity for growth is often missed by stokvels. When deciding which savings or investment to use for your group’s contributions, remember to consider tax-efficient solutions like tax-free savings accounts. * It's National Savings Month. Do you have a successful savings plan or story to tell? Share it with us now and help others to also become Savings Heroes. For more on savings, visit our special Savings Issue. Stokvels are on the move from villages to cities, from mattresses into savings accounts and investment instruments. Investment expert Steven Nathan lists 10 common retirement investment mistakes and how to avoid them. Many investors have misconceptions about tax-free savings – many feel the products are too restrictive and maintain they don’t offer many advantages besides exempting savers from capital gains tax.